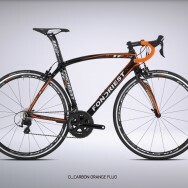 The Fondriest TF3 1.2 features a full Carbon Monocoque UDM frame. The special ribbing and the waisted cross-sections are the result of a painstaking design work using cad 3D models and software. 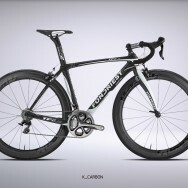 A young and simple frame design, completes a frame which is very fast on the road, perfect for accurate cornering, and high performance while accelerating. It is the perfect compromise between weight and performance. 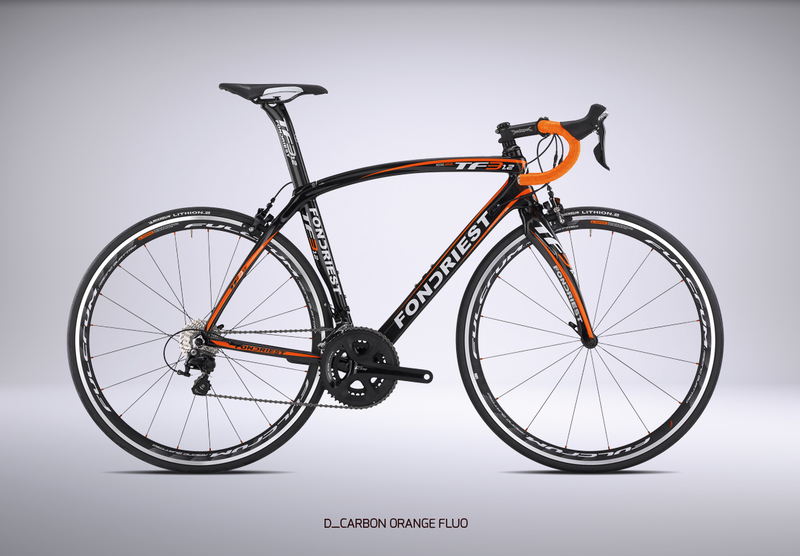 Steering differentiated, integrated cables, A “semi-integrated” seat with oval profile and “integrated” neck in the line of the horizontal tube.A brand new shaped fork which provides the best stiffness, torsion and resilence performances. A single frame that mounts both a mechanical and electronic group thanks to the new interchangeable boxes. 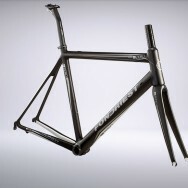 Monolitich carbon dropouts.